← Restoration or Replacement of 900 Lead Came Windows. 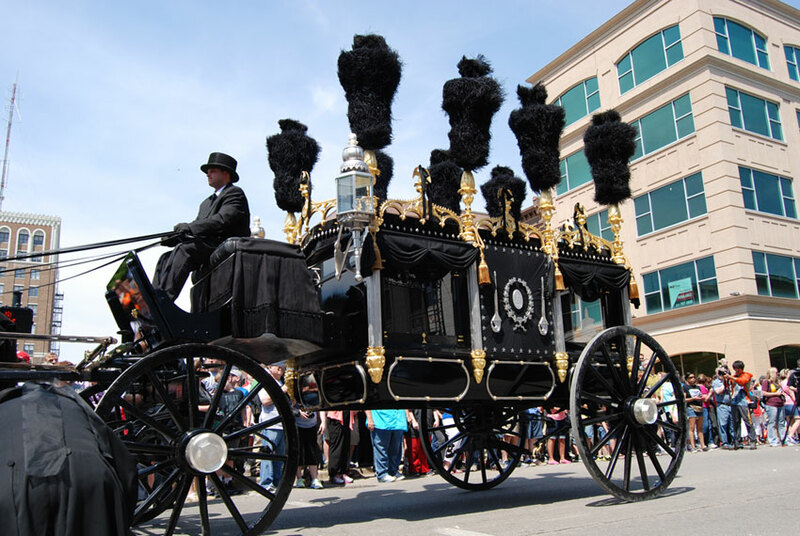 Reproduction hearse re-enacts the Lincoln funeral procession. Blue Ox Historic Village and School is an historic millwork production facility, a working museum and a school. For many years they’ve operated a high school program for at risk teens, giving them the opportunity to experience themselves as problem solvers and to be part of a project team. In 2014, Blue Ox founder Eric Hollenbeck launched the Blue Ox Veterans Program. As a Vietnam Veteran himself, he believed that participation in hands on artisan projects could be transformative for military veterans. Transformative because such projects allow participants to see a part of themselves rendered in beautiful and important work. 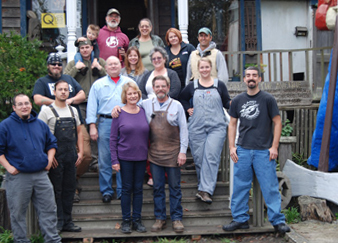 The Blue Ox Lincoln hearse builders team. It is fitting that the first major project of the Blue Ox Veterans Program was a reproduction of President Abraham Lincoln’s funeral hearse. This vehicle was built for the 150th anniversary ceremony honoring Lincoln, which was held in Springfield, Illinois, his home town. Lincoln would have understood, as he was a leader who sought to heal wounds and cared to make an emotional connection with the people he led. List of Fine Art Conservators. Note: If you’re interested in historic vehicle preservation, check out the John Hancock carriage restoration project by Blackburn Building Conservation. This entry was posted in Artifact Restoration, Reproduction and tagged Illinois, Vehicles. Bookmark the permalink.